The first issue of Lateral Magazine is out. Categories include Art & Popular Culture, Life Science, Physical Science, Society & Education, and Philosophy & History. By supporting and providing a platform for some of the best up-and-coming science writers and artists, we hope to inspire a new generation that understands how science connects to their lives and to the world as a whole. As you might expect, the team are younger people “with backgrounds in both scientific research and communications”. It looks the sort of effort I’d love to write a few pieces for, or take on an editorial role, were I younger. * I hope readers enjoy exploring it! 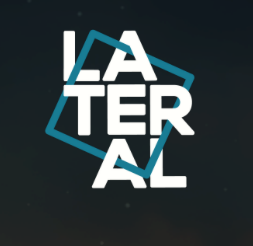 You can follow them on twitter at @lateralmag and sign up for email alerts at the bottom of their About page. On a personal note, I like that this features writing. I love of the things people are going with other forms of science communication, but I sometimes feel (good) writing is undervalued.